Axial's new Internal wheel weight system (Patent Pending) allows for precise and easy addition of weight to your Axial 2.2 and 1.9 Beadlocks. 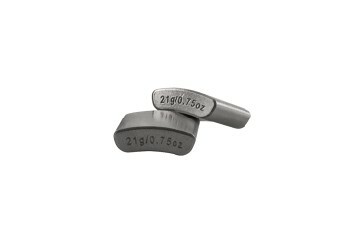 Purchase the Internal Weight Ring to add weight and increase stability on difficult obstacles. To add even more weight use the Internal Wheel Weight Inserts to fine tune the total weight. Each package of Internal Wheel Weight Rings includes the ring for 1 wheel. Recommended for the use on the front wheels to help with climbing and stability by lowering your center of gravity. To add the maximum amount of weight to a pair of wheels use (2) Internal Wheel Weight Rings and (3) Internal Wheel Weight Insert packs. All required hardware is included. Allows for precise and easy addition of weights inside the wheel. Add up to 8.5oz to each 2.2 wheel with AX30545 & AX30546. Add up to 5.0oz to each 1.9 wheel with AX30547 & AX30548.